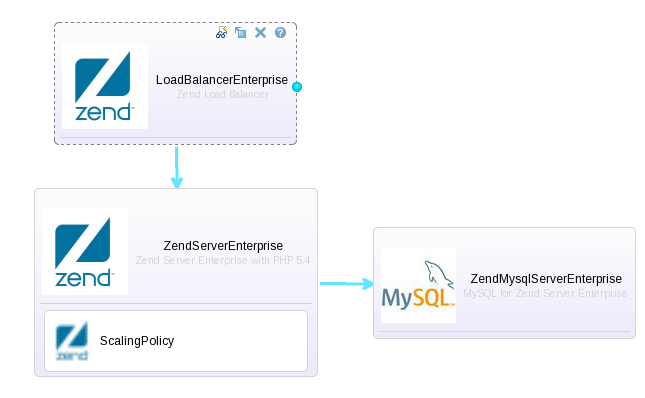 Since Yesterday IBM provides the Zend PHP pattern on SmartCloud Application Service. This pattern is composed of a Zend PHP server, a possibility to link to DB2 component and also a load balancer. The MySQL DB is a mandatory component if the Scaling Policy is set. Two flavors are available for the Zend PHP pattern, the Professional and the Enterprise version. The Professional version is a more lightweight version, for example, the Professional doesn’t support Java Connectors, has a limited data retention for debugging and doesn’t provide audit trail. Both flavors are available in a PAYGO or BYOL license mode and in 3 sizes (Small/Medium and Large) for an hourly or monthly rate. You can also order the PHP scaling capabilities to automatically scale up and down your cluster. The cluster will also provide a cache to avoid that data-loss during an HA event or a down-scale. Zend provides also a framework, called ZF. It allows you to leverage on a number of library to speed-up your development. You can use the ZendStudio IDE which is Eclipse base to develop your application. You can download a 30 days free trial of the ZendStudio here. 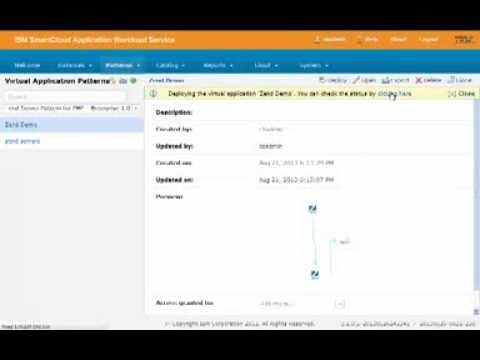 This entry was posted in IBM Cloud, IBM SmartCloud Application Services, IBM SmartCloud Enterprise and tagged #ibmcloud, #SCAS, #SCAWS by ITDoVe. Bookmark the permalink.